Here’s some good news: Benefits of cognitive training can last 10 years in older adults. That’s the result of a study published by the Journal of the American Geriatrics Society. Older adults who had participated in the mental exercise programs reported less difficulty with everyday tasks of living than were those who had not participated, even after 10 years had passed, reported psychiatric researchers at Indiana University School of Medicine. 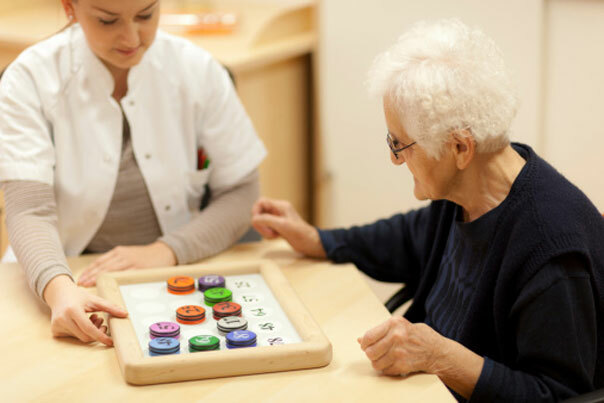 The study, known as Advanced Cognitive Training for Independent and Vital Elderly, or ACTIVE, is the first to link such cognitive training to benefits in activities in everyday living and not just to mental skills related to the exercises, said researcher Frederick Unverzagt. The study involved 2,832 people living independently in several American cities and communities. Their average ages was 74 years old at the beginning of the study. About one-quarter of the participants were African-Americans, and about three-quarters were women. The participants were divided randomly into groups receiving either memory training, reasoning training or speed training. A fourth — control — group received no training. Meeting in small groups, the participants had 10 training sessions of 60 to 75 minutes each over a period of five to six weeks. Some participants received “booster” training one and three years after the initial sessions. Memory training involved improving abilities to recall texts and lists. Reasoning training included solving problems that involved patterns. Speed training, conducted on touch screen computers, was designed to increase speed in identifying information in different screen locations. The types of training were selected because they appeared in previous testing to be applicable to such daily activities as using the phone, tracking medication use and taking care of finances.